If we go by the calendar year, it’s the last World Golf Championships event for the PGA Tour. But with the PGA Tour adopting the wraparound schedule for the 2013-14 season, it’s actually the first WGC event of the new season. The addition of the added value to the FedEx Cup points for the first time is also bringing out some of the top players in the world, which will make for a fantastic field this week in China. There will be 78 players teeing it up at the 2014 HSBC Champions event, represented by 21 total countries for a very international affair. Ian Poulter won his second WGC event when he claimed the 2012 HSBC Champions tournament title, and enters as the defending champion. Also in the field will be names like Phil Mickelson, Jason Dufner, Rory McIlroy, and 2013 FedEx Cup champion Henrik Stenson. Tiger Woods will not be playing this week, though he was recently in China over the weekend playing against McIlroy in an exhibition match. McIlroy won the event, though Woods was struck with illness in the days leading up. The victory over Woods by McIlroy should give the 6th ranked player in the world plenty of confidence coming in. He fired a 6-under round to defeat the No.1 ranked player in the world and looked as good as he has at any point in the past 12 months. McIlroy is one of many players who will warrant plenty of attention this week, as the field is extremely strong meaning that a number of players are considered favorites coming into the first round. 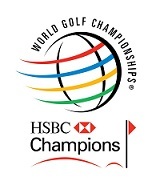 For complete betting coverage, be sure to visit our WGC-HSBC Champions page this week, for which we will have information on the top favorites, tee times, pairings, and make our own picks to win. This will probably be the strongest field of the remaining tournaments until we get ready for the start of the 2014 portion of the new schedule beginning next season. This entry was posted in News, Opinion and tagged 2013 hsbc champions, 2013-14 pga tour season, fedex cup points standings, phil mickelson, rory mcilroy, tiger woods, world golf championships on October 28, 2013 by Bryan.